This just aired on NPR and now archived for your listening pleasure! 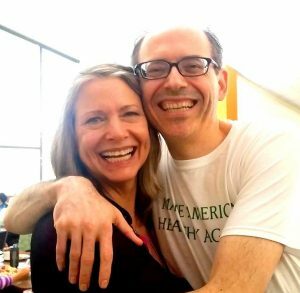 Not long ago the host of a popular local North State Public Radio program, Nancy Weigman, reached out to me and asked if I could track down Dr. Michael Greger. 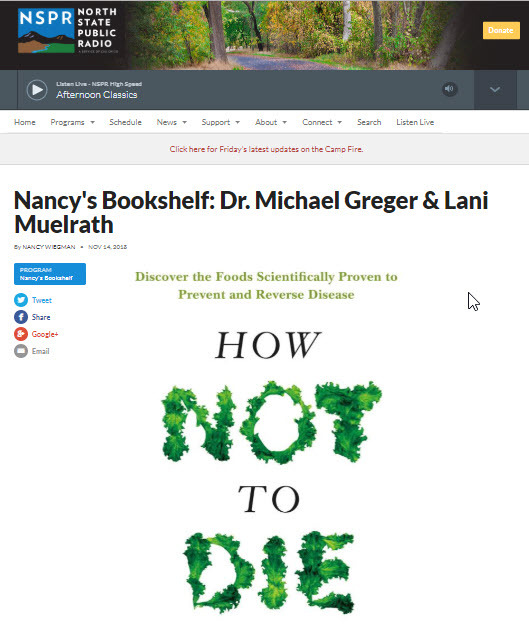 She wanted to feature his book How Not to Die on her show, Nancy’s Bookshelf. 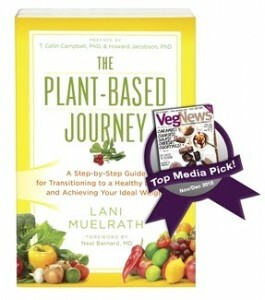 She knows that Dr. Greger and I have done some TV segments together before and figured I would know how to reach him. And by the way, she asked, could I also come to the studio and be a part of the program? 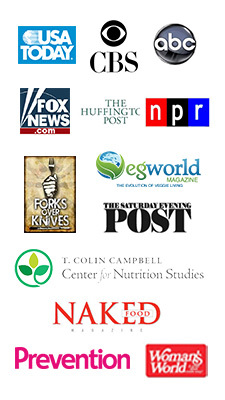 After the first thirty minutes, Nancy asked me to stay on and address some of the challenges surrounding dietary transition – and how to navigate Thanksgiving when moving away from omnivorous eating to plant-sourced nutrition. 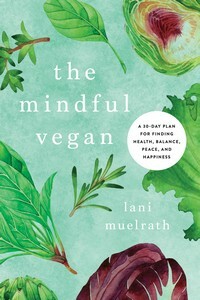 How mindfulness practice makes a difference in our conversations with others as well as our ability to transform our plates – and lives. I had planned to newsflash an announcement a few days prior to the airing of this show – and then the Camp Fire hit. A few days after our evacuation from the fire and ongoing refugee status, we were running errands in town when we just happened to turn on the radio. I turned to Greg and said “That’s me!” – then I looked at the clock and saw that it was time for Nancy’s Bookshelf, and of course our show was on. So forgive me for the late notice, but you can still hear in plenty of time for Thanksgiving!